Make a yearly tax-deductible donation of at least $1,000. One hundred percent of your $1,000 membership donation will go to fund the transformational grants that will be awarded in the spring each year. Membership funds will be awarded as Impact Grants. Funds in excess of $100,000 will be divided equally among non-winning finalists and awarded as Merit Grants. We are a 100% volunteer organization. Once you join, your level of involvement is entirely up to you. You can simply join and cast your vote at the annual Grant Award Celebration, or you can become actively involved on any number of committees. Volunteer committees conduct thorough assessments of the grant applicants and put forth finalists. The entire membership meets to hear presentations by each of the finalists and votes to select the grant recipients at the annual Grant Award Celebration. 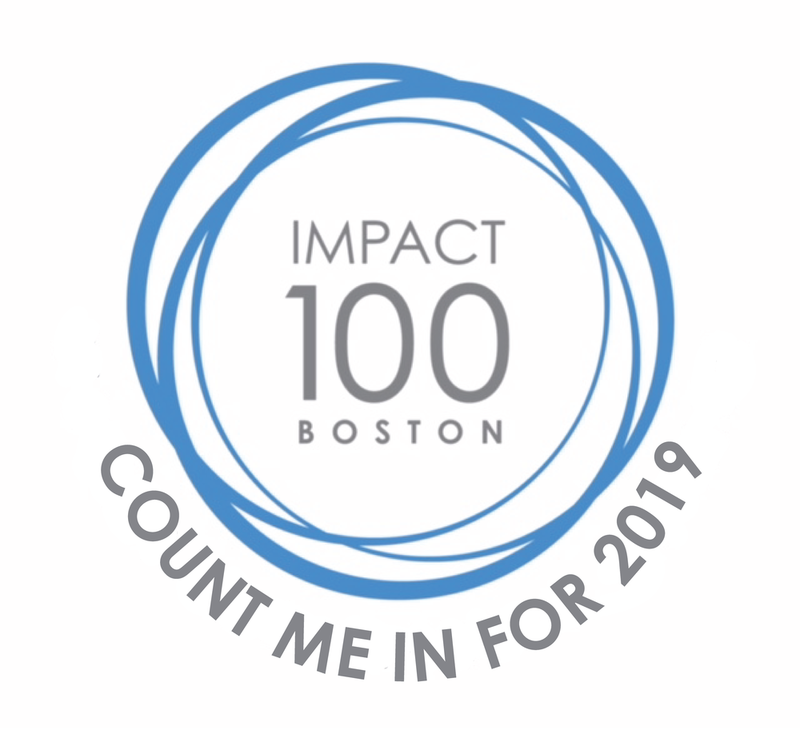 Membership in Impact 100 Boston is a one-year commitment. Memberships are renewed on an annual basis. Impact 100 Boston is extending its affiliation to 8th grade girls and young women up to 21 years old who are interested in giving back to their communities and learning about the world of philanthropy. Impact 100 Boston Juniors can assist in many ways throughout the annual grant process. They will meet several times a year as a group, attend the Kick-Off meeting in January and assist with the annual Grant Awards dinner each May. Junior fee is a donation of $200 due each grant year. Our Junior girls must have a parent or sponser who is a member of Impact 100 Boston.